I’ve Been Denied: What Now? 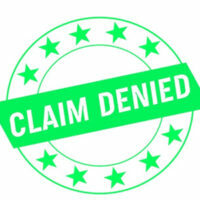 For a variety of reasons, some workers’ compensation claims do get denied. While the majority of these denials are appropriate, it can nonetheless feel like a roadblock or even a betrayal, especially if your employer played a part in contributing to the denial. While this can be a significant setback in terms of your recovery and your ability to provide for your family, the important thing to do is not grow angry, but to take the necessary steps to appeal or overturn the decision. While it can be terrifying to have your claim denied, it is important to keep in mind that it is rarely about any specific problem. Statistics from the Florida Dept. of Financial Services show over 4,000 workers’ compensation cases filed in 2016 in Broward County, and a significant portion of those were denied at first glance. Many were simply not filed on time – there is a two year window during which a claim must be filed, but the two years begins to run from the date when the worker discovered (or should have discovered) that their injuries were disabling, either temporarily or permanently. Other possible reasons for denials include your employer’s insurer disputing the claim – they may not, for example, believe you sustained your injury at work, or they may think the degree of injury is being exaggerated either by you or your employer. While this can happen with any type of harm suffered, it is perhaps the worst with invisible injuries – repetitive stress injuries and psychological issues like post-traumatic stress disorder (PTSD) are among the most often disputed types of claims. If your claim is denied, one of the first options suggested generally is the Employment Assistance and Ombudsman Office (EAO). While the EAO does not offer true mediation, it does offer to help “assist in resolving” the dispute between you and your employer, either via telephone or in-person conferences. If you do manage to reach an accord with the help of the EAO, it must be submitted to the Office of the Judges of Compensation Claims (OJCC) for approval. This step is simply to ensure the agreement is in keeping with relevant law and is not unconscionable – that is, unfair – to any participant. Alternatively, you may file directly with the OJCC if you deem it more appropriate. You must submit your Petition for Benefits in the appropriate way, which is usually via electronic means if you are represented by an attorney, and it must contain all the relevant information, which is listed in Sec. 440.192. You also must submit an affidavit or other statement which vows that you have attempted in good faith to settle the dispute with your insurance carrier, but have been unsuccessful. If this is all submitted successfully, you should have an answer within 14 days in all but the most unusual cases, and if the OJCC does not rule in your favor, you may take your case to the Court of Appeals, but the grant rate at that level is not high. It can feel devastating to be denied for workers’ compensation when you need it. However, all is not lost. The experienced Winter Park workers’ compensation lawyers at the Hornsby Law Group are willing to help. We can sit down with you and try to answer your questions. Call us today to set up an appointment.